Open Channel: What's Your Favorite Memory From Firefly? 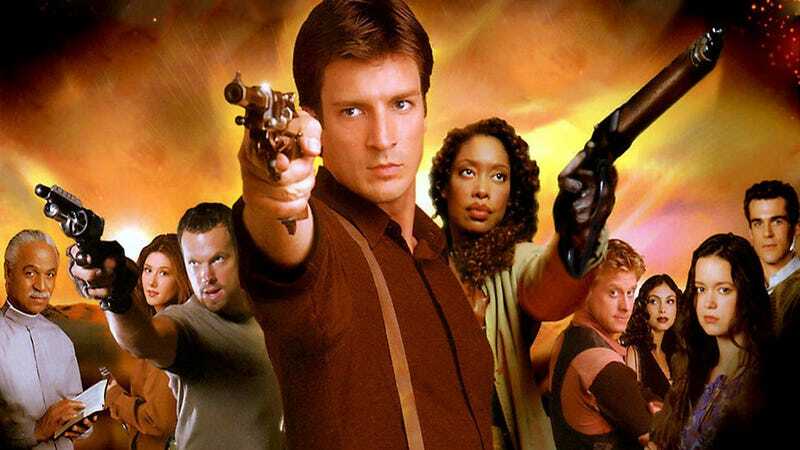 The ill-fated scifi western Firefly debuted on Fox 15 years ago today. And while the show didn’t last long on the air, Serenity herself has kept on flying. So tell us, what do you remember most about the cult classic? And, perhaps more importantly, do you feel its legacy still matters? It might sound crazy, but my first exposure to the Firefly universe was from watching the movie, Serenity, which came out almost three years after the show was cancelled. So, you can imagine I was a little confused. However, the movie did inspire me to check out the show, and it got my attention. My favorite part had to be Christina Hendricks as Saffron, because I loved how perfectly devilish she was. Now, I wasn’t a diehard fan of Firefly, and I can understand why it was cancelled. But it was definitely ahead of its time, and you can see the effect it’s had over the years. Shows like Killjoys and Dark Matter definitely feel like extensions of Firefly. Despite the ratings, Firefly is also constantly parodied and referenced. Of course, the scifi genre has expanded so much that Firefly’s influence has waned, and now that the show is 15 years old, it seems only a matter of time before it’s forgotten. But for now, Firefly is still a beloved piece of modern scifi history. So what’s your take on it?